A complete kit to start a lab on spectroscopy. The theory of the prism spectrometer indicates that a spectrum of maximum definition is obtained when the angular deviation of a light ray passing through the prism is minimum. 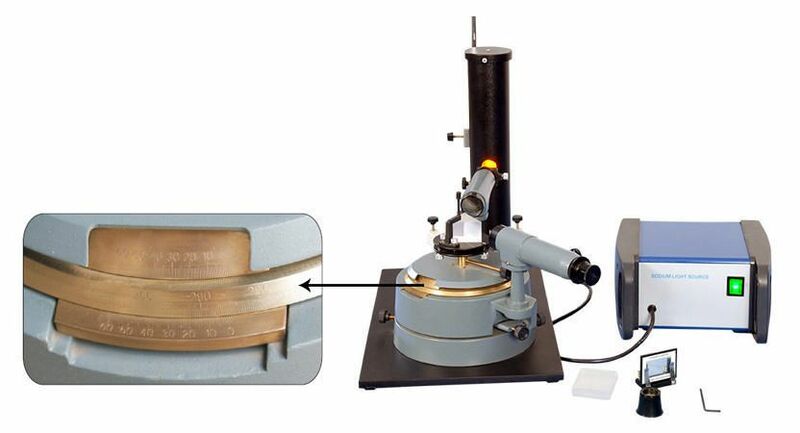 In the present setup, Refractive index, Dispersive power and Resolving power of the prism are determined by using sodium light source. A plane diffraction grating is used to find out the wave length of the monochromatic light source. 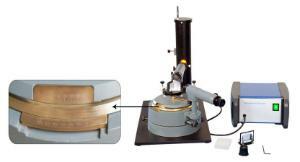 Ordering information: Includes Spectrometer-Goniometer, Sodium light source, prism, diffraction grating, micrometer slit.